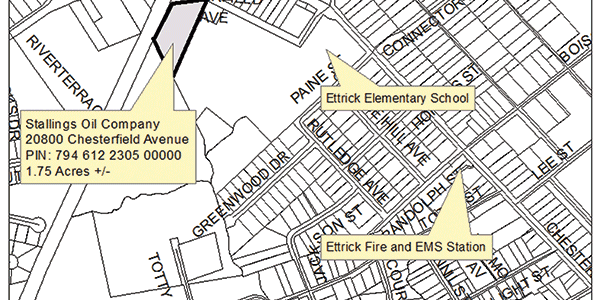 By a 4-0 vote with James Holland absent, the county board of supervisors last week approved the purchase of a 1.75-acre parcel in Ettrick to support a new elementary school and fire station. The purchase price of $20,000 represented the assessed value of the land, according to the county’s real property manager, John Harmon. The land will be purchased from Stallings Oil Co. 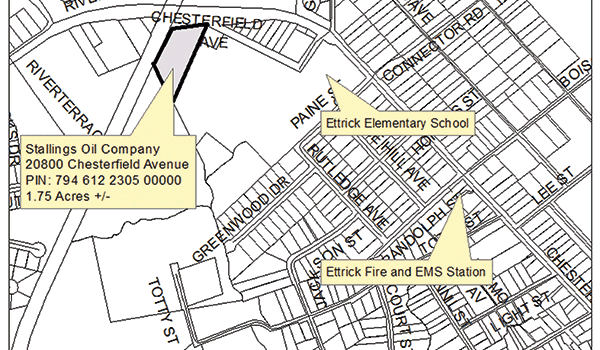 There was some confusion about how the agenda item was listed, but the county’s deputy administrator for community development, Bill Dupler, said that no buildings are planned for the property, which is located south of Chesterfield Avenue, east of a railroad and west of the current Ettrick Elementary. Rather, the county needed to purchase the property to ensure that an undeveloped road, James Street, could not be used to access the parcel in question should another entity purchase the land. 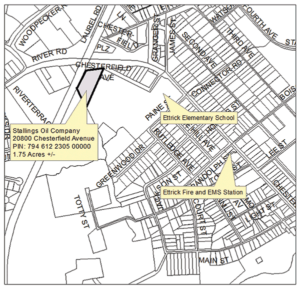 The county plans to use the road as an access for the new school and new fire station.